Penelope has lived the Italian country life for decades learning from local people about the land, produce, and cuisine. 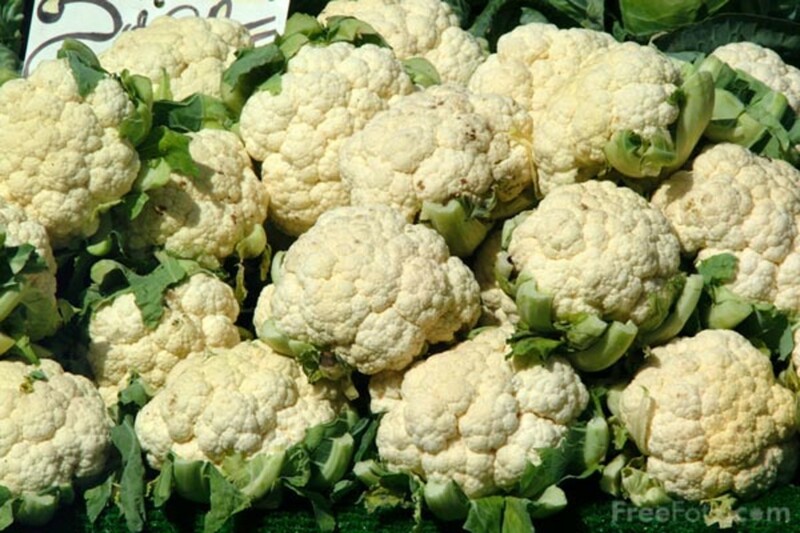 Until just recently I've specifically chosen a cauliflower which has fewer leaves than other cauliflowers at the markets, aiming for the big white flower part of the vegetable, (thinking the green leaves would be a waste of money). This all changed recently when I saw a container of very small cauliflower heads nestling among their bright green leaves, lots of green leaves, at a local open vegetable stand in Tuscany where I live. I bought one with all its leaves attached and this time decided to make a vegetable dish with the leaves. 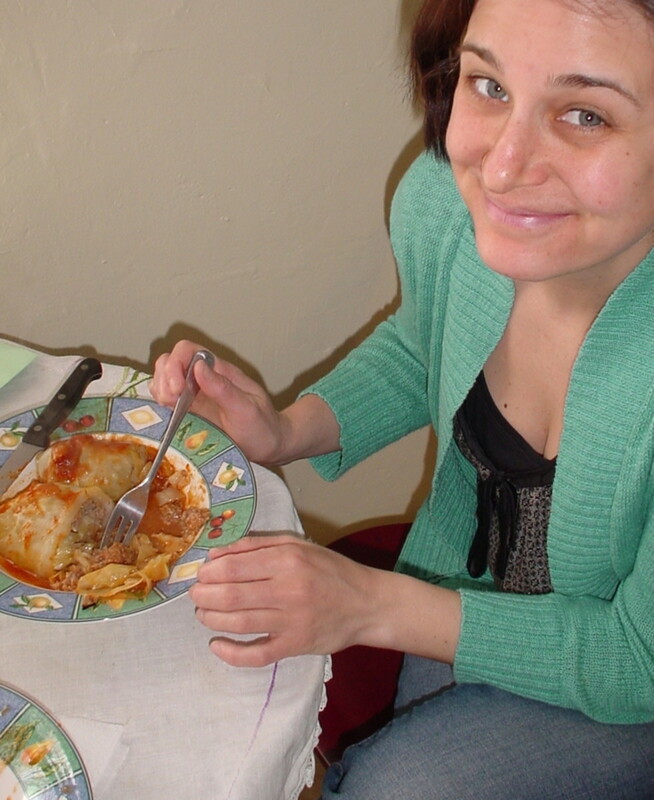 One of the favorite ways to eat green vegetables in our Italian household, as in other Italian homes is to make them 'in umido', (which means 'braised in tomato sauce'). 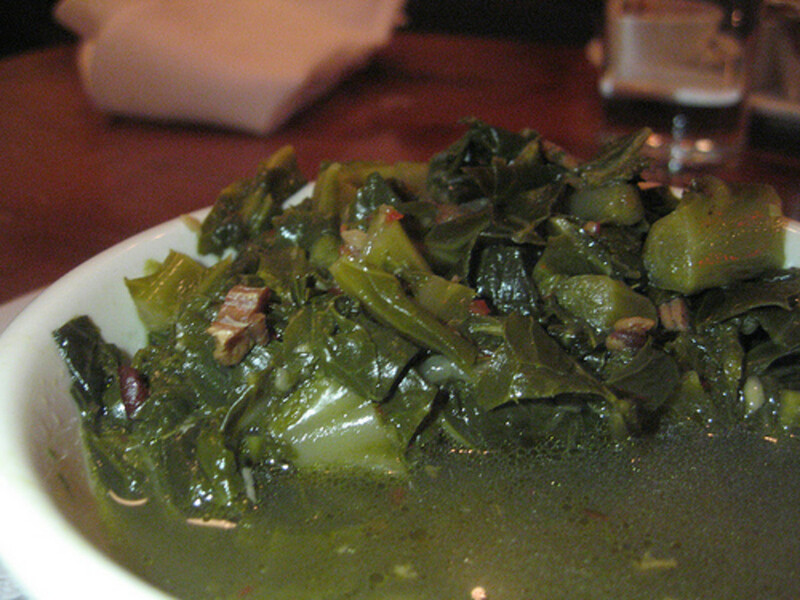 Bitter greens such as black cabbage and chard are extremely palatable this way. So why not cauliflower leaves? I experimented whilst the leaves were still fresh and green; all their goodness and nutrition intact. And it was a success. 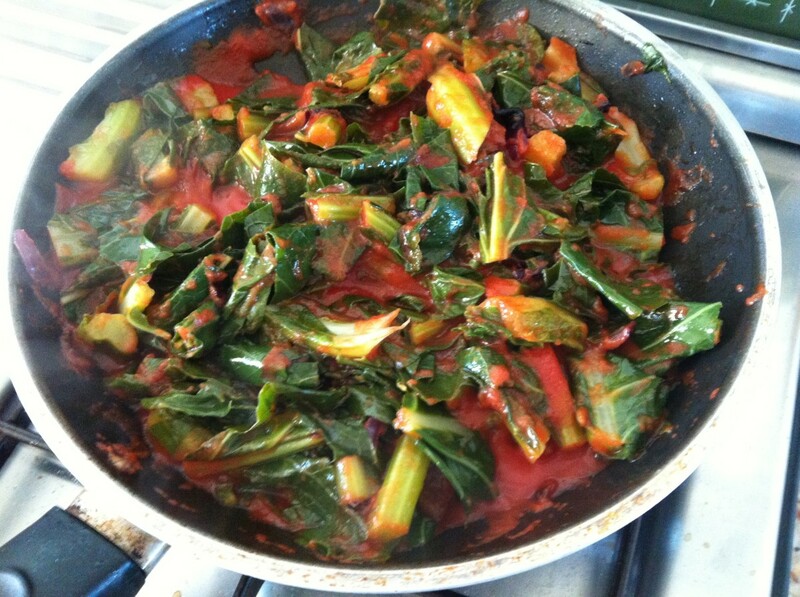 Here is my recipe for delicious cauliflower leaves in Italian tomato sauce made with extra virgin olive oil. (And also with the cauliflower florets). 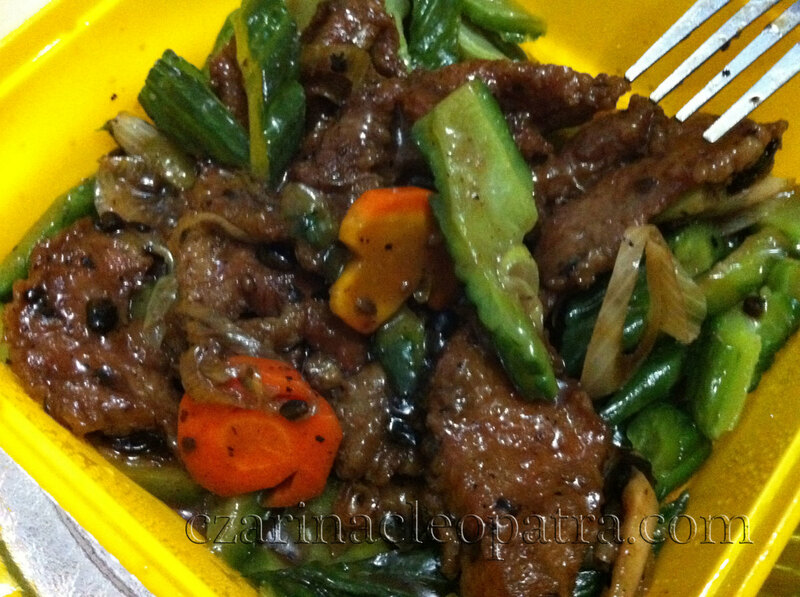 It is a delicious way to prepare this humble green! Slice the leaves and steam them, (or boil in a pan in 1 litre salted water) till the stem has softened. 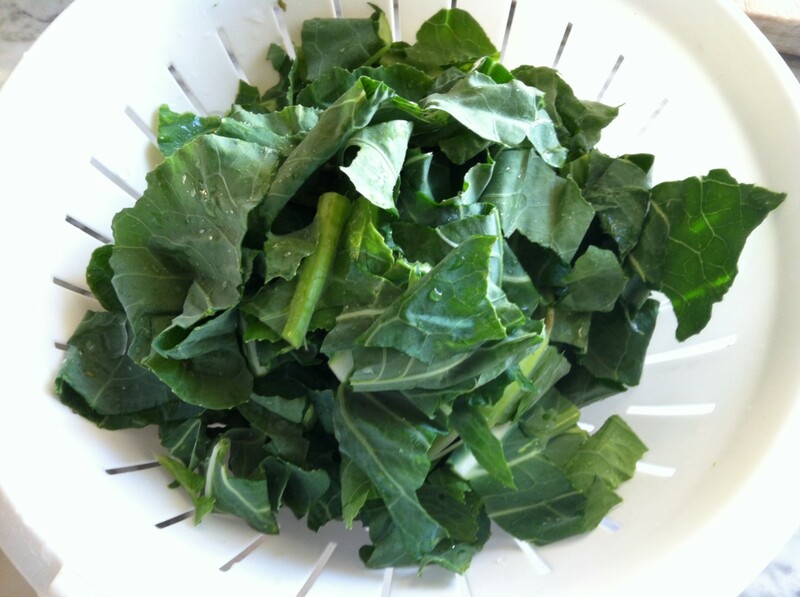 If you like well cooked greens, then cook them well. If you like them on the crispy side, then cook them less. Boil and strain the cauliflower in salted water whilst you make the sauce. For the tomato sauce: finely chop the onion. 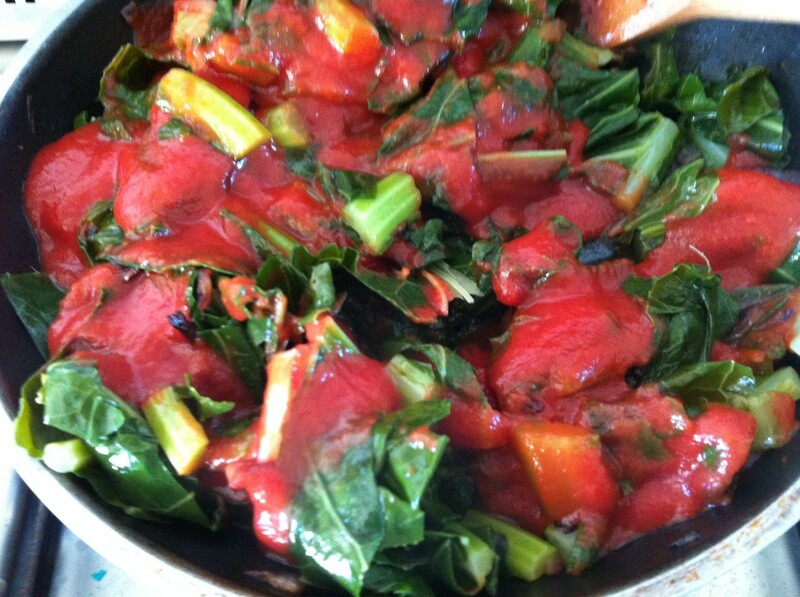 Add the tomato sauce, mix together and cook on moderate heat for about 20 minutes. Add the vegetable water. Mix and stir. Keep covered. Braised cauliflower leaves in an Italian tomato sauce ('in umido') can be served as a whole vegetarian meal, made pretty and doubly delicious with it's white cauliflower florets. Drizzle a little more extra virgin olive oil over the florets. 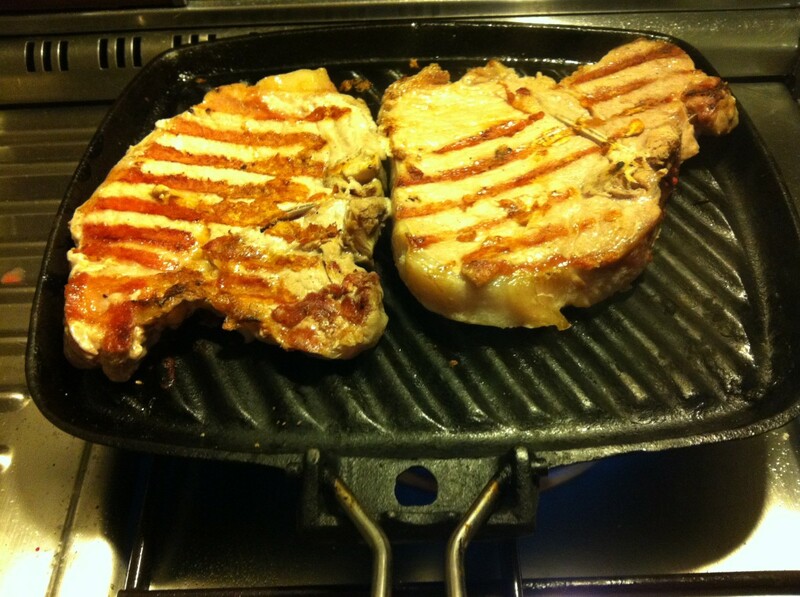 You could also serve it as a side dish next grilled meats, (which don't have sauce) and baked potato, or french fries. A poached or fried egg on the top with some hot crusty bread makes it a tasty supper dish. NOTE: If you like hot and spicy, then add more chilli. It is very, very good hot. If you are serving small children then go lightly with pepper, obviously. A sprinkling of cheese on the top makes it tastier to children and will encourage them to eat their greens. You can make this dish ahead of time (1 day even) and reheat. 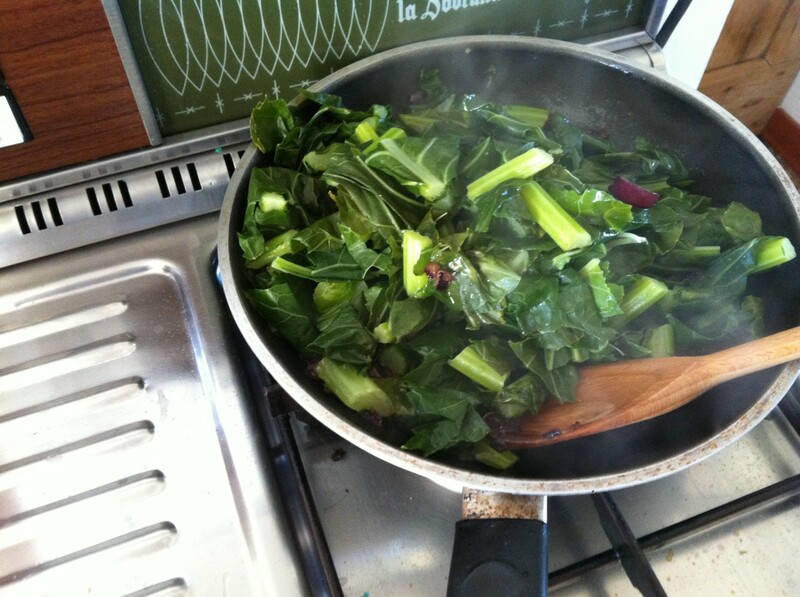 If this is your plan, then keep another cup of greens juice to add to the braised vegetables for re-heating. 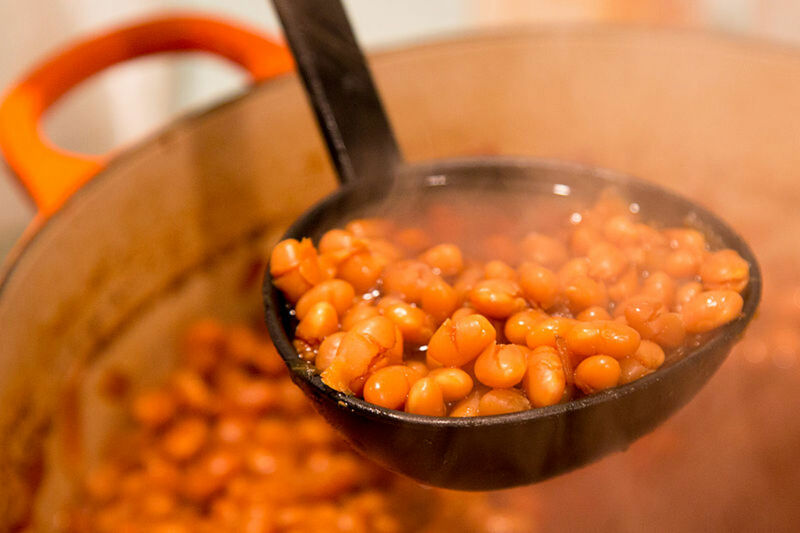 You can re-heat in the oven in a casserole dish with a lid so that it's out of the way but also a surprise when it is served - and looks great in a rustic dish. (See the ad). It tastes good with hot bread. Sausages are perfect with it too. I know! It was such a fantastic discovery for me too. So glad you like this and thanks so much for such an expressive comment. I don't believe you can actually use the cauliflower leaves, this is so unbelievable, I always throw away the leaves. You have opened my eyes here on cooking with the cauliflower leaves. If only I had known!!! You are most welcome and it's just great of you to come back tell us that it worked out so well. So appreciate your comment, thank you. I gave it a try last night and must say it came out fantastic! Thanks for posting. It's very jtrader, thank you. Hope you'll try it out. Well, that is a compliment coming from you and I do appreciate it wilderness. Thanks so much. You're right, GoodLady - this is different. I've never tried cauliflower leaves, but will have to sample this dish. Undoubtedly another success, coming from you! Appreciate and thank you! Hope your husband likes it! And that your friend who grows things likes it too. I'd never thought of eating them till I tried and can not understand why it hasn't taken off before now. Why chop off the leaves? And throw them away? it doesn't make any sense. They are delicious! Beautiful photos Penelope! Like most people who've commented, it's never occurred to me to use the leaves! My husband is veggie, so we'll try it out. I'll also mention it to one of my friends who is a commercial grower - I'll bet she's never tried it either! Hope you really enjoy it! Wishing you a very Happy New Year Lisa and many thanks for your happy comment here. Not sure if they are actually better for you than the flower but they are green and fresh they must be full of goodness. I never thought about it either!!! Why was that? Seems bizarre now. I never thought to eat the leaves of a cauliflower, but this sounds pretty tasty. Wow, Penelope … what a comprehensive hub! I have not tried this yet but I will. 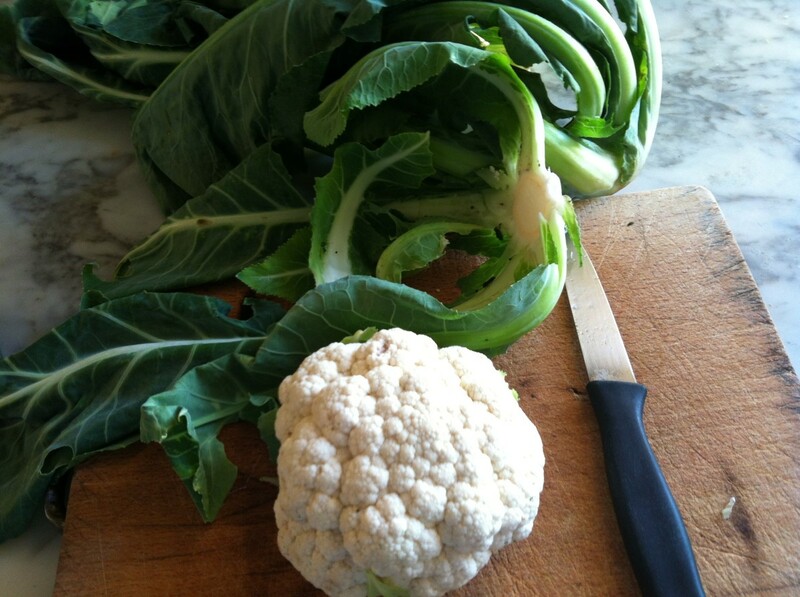 Om P. Next time you see a fresh cauliflower with lovely green leaves, I hope you'll feel like trying it out! BlossomSB. How do you make your cauliflower leaves? They'd be nice even steamed with some olive oil wouldn't they? Thank you so much for your comments, which are appreciated. 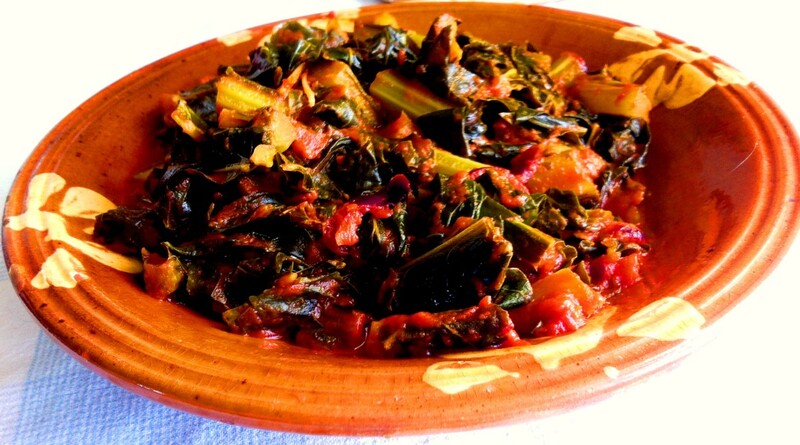 I often use cauliflower leaves as a green vegetable as it seems such a waste to just throw them into the compost, but this recipe looks great and I will be trying it soon. Looks yummy! I've never cooked with cauliflower leaves before. I'll bookmark this and put it on my kitchen adventure to-do list! Thanks so much for your votes Cathy. Hope you thoroughly enjoy this interesting, modest vegetable dish. Claudia Tello. Weird how they don't sell the leaves. Wonder what they do with them, maybe they make animal food or something. I can't believe they'd throw them away? Thanks for sharing. In Mexico cauliflower is sold without leaves and I didn´t even knew how they look and that they are edible! What a waste.... it is really ridiculous that producers should throw away such a big part of the vegetable that could be used. Same happens with beetroot leaves, and they are so beautiful! Anyway, I learned something new today with your hub :). This looks great, I never had cauliflower leaves before but will definitely try it. chef-de-jour Your spincai con sultanas (uvetta) sounds like a Sicilian dish and I'll look it up - try it out. Thanks for suggesting it and for your comment too. Appreciated. Crystal Tatum. Many thanks for your votes and shares and I do hope you will enjoy this delicious dish! It is tasty, for sure. carol7777. So nice of you to comment and votes and I do appreciate it. 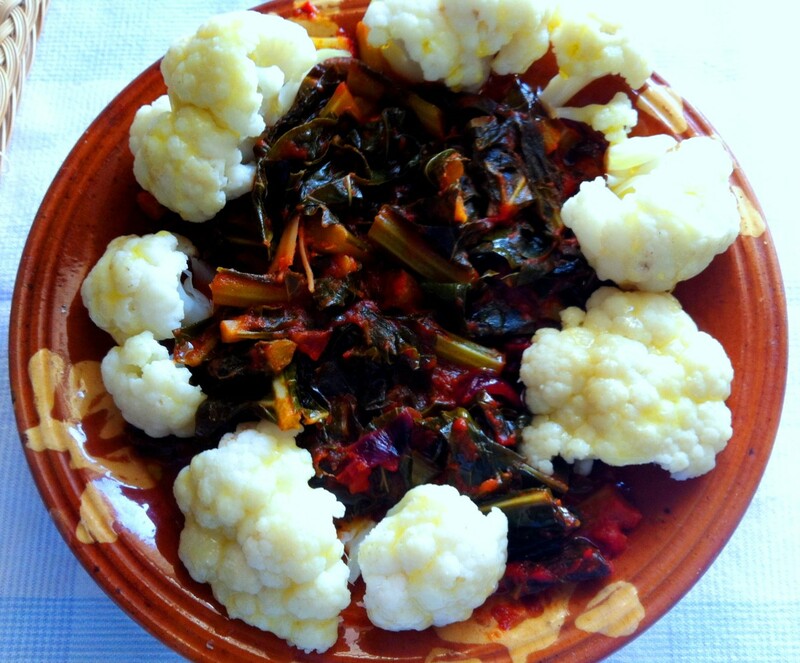 Buon appetito when you make this cauliflower leaves dish. i will never throw away cauliflower leaves again. This looks really good and worthy of a vote UP and a share. Yum! I've never had cauliflower leaves - never occurred to me! This looks delicious, a dish I definitely want to try. Voted up and shared. 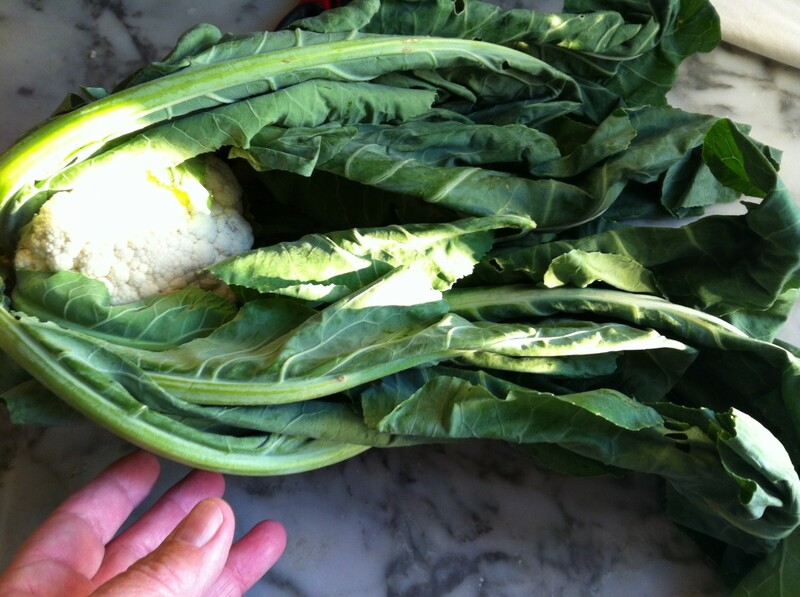 Interesting dish - green leaves from vegetables such as cauliflowers are often thrown away (or composted hopefully) but with your Italian knowhow you've transformed them. A clever and healthy alternative. This reminds me of a side dish I had some years ago - again Italian I think - spinaci con sultanas - well, cooked in olive oil and like your tomatoe based collies delicious!